There have been rumors over the last few weeks that Facebook may be making some changes to their Facebook Like Button. Now the guys from Engadget have obtained some more details on the changes that Facebook has planned for its Like Button. Facebook is launching something new called Reactions, as we can see in the photo above, as well as being able to click ‘Like’ on a page, you will also be able to share how you feel about the page. 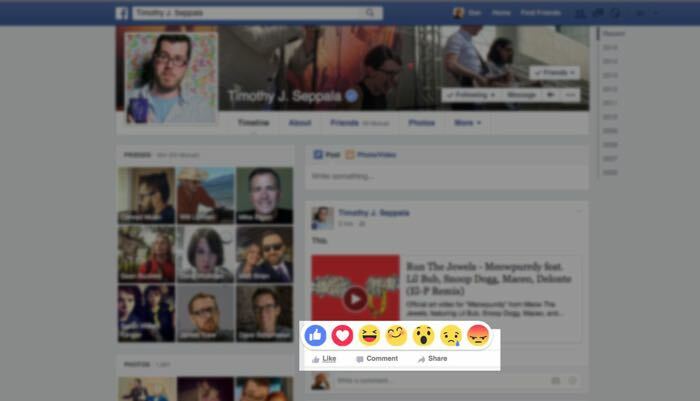 Users will be able to share emotions or reactions to the page they are liking and these new reactions will show how you feel about the page. As yet there are no details on when these changes will be made to the Facebook Like Button, as soon as we gets some more details on when it will roll out, we will let you guys know.